So you have made up your mind to travel to Sikkim, you have done your research well, you have an itinerary in place, and your bookings are done. If you think you are all set, think again, has your travel agent or your reference website told you everything? Here are 9 things you better be prepared for. Bonus Tip: Just in case you’re still working on your travel itinerary for Sikkim, our detailed itinerary might help. Give it a look! Quite possible that while you’re travelling to another town, you might encounter rainfall or even snowfall (specially in off-season). Be aware that any of the luggage kept on the carrier of your vehicle is likely to get wet, including the clothes contained inside. The rain cover provided by the taxi guy barely helps. Ensure you have your clothes secured in plastic bags because you will barely get any chance to dry your clothes through the trip thanks to the cold climate and your travelling throughout the day. We learnt it the hard way. Always be prepared for rains! Due to power shortage in the state during off-season, government disallows the use of electric room heaters in off-season. Hence, be ready to brave the cold without them. The few ways you can keep yourselves warm are – angithi, if you’re living in a posh hotel or a home stay, or bonfires, or consumption of alcohol. If you are living in a budget hotel, it’s likely they may not provide any of the above. In that case, your only hope is alcohol. Luckily, it is easily available at shops in most localities. Markets throughout Sikkim shut down at 8 PM. Very few restaurants or food outlets stay open beyond that time. In case you’re planning to visit one of these places, call up in advance and check with them. You may skip buying boots suitable for snow and really warm jackets since jackets, boots and gloves are easily available for rent wherever you may need them. We got them for INR 50 per day each wherever we needed them. This is applicable mostly for areas covered with snow. The boots, the gloves, the jacket which we took on rent. Combined INR 150/day. Quite awesome in shielding from the cold and let us make the most of snow. 5. What to pack – clothes? We suggest that you carry woolens enough for 5-6 layers (2 thermals/warmers, thick shirts, sweaters, jackets) being worn throughout your 6-7 day trip. 80% of our luggage was just woolens. Carry enough pairs of socks and gloves (or buy them in Sikkim) because the boots only protect them from getting soaked wet. In most likelihood, your socks will already be damp enough to give you chills after you get back to your car for transfer back to hotel. By the end of it, I needed 7 pairs of socks for my week-long trip. 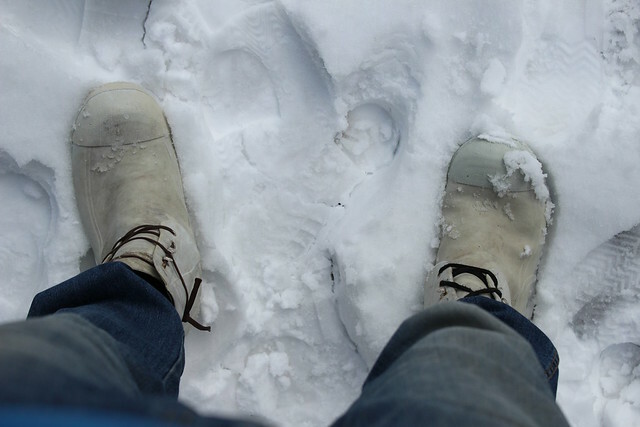 Although these rented boots provided great protection from the snow, but they couldn’t save my socks from being damp by the end. Most of the tourist spots, specially in North Sikkim and East Sikkim, require a valid permit. To get a permit made, you will require an id proof and photos. Suggest you to carry about 10 photos and id proofs for permit. Also, to save time, talk to the tour operator, package operator a day in advance and hand over the documents and photos a night before. Since the permits are issued in the morning, this saves time because the operator does not waste 1-2 hours in the morning to collect documents and get permits made. While you are travelling in Sikkim, always carry your stock of Wai Wai. These will come handy when you are stuck somewhere or don’t have a Restaurant nearby. The population of Sikkim is quite less, about 6 lakh only. Barely any buses ply between tourist spots but there are shared-taxis which fulfill the same purpose. If you’re looking to travel while keeping costs to the minimum, you can easily take these shared taxis. The only inconvenience is that you may have to switch taxi once or twice to get to your destination, specially if it’s far off. Unlike travelling in plains, the speed of traffic in hills is quite slow both due to the tricky curves as well as the narrow roads. When you are planning your vacation, make sure you account for 4 hours when travelling 100 km and likewise for other distances. Typically, travelling from one major town/city to another consumes the entire day. But, if you enjoy travelling you will enjoy the views and the journey will be quite amazing. Each of the taxis we hired played good music, both Hindi and English, which compounded with the breathtaking views made the journey even more amazing. 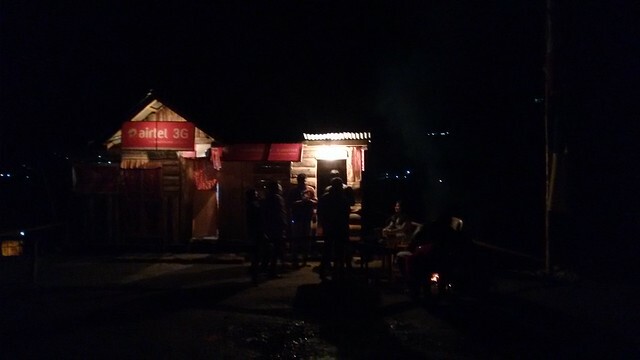 A tiny Resto-Bar which serves limited food options like noodles, Maggi, coffee, alcohol but a popular hangout spot in Thumchi area of Lachung. The place can accommodate just 10 people at a time, plays good English/Hindi music and is also open till 12AM which is an exception for the area. The lady host organised a nice Bonfire party for us, complete with good music, for INR 800. The 6 of us partied for 5 hours (till 11.30 PM) along with some localites and our total bill amounted to INR 2100 inclusive of all the firewood, music, old monk, cold & hot beverages and the Maggi we consumed that evening. Majority of vehicles are cars and a majority of them are taxis. The Taxis are peculiar in two aspects – First, Each one of them has a yellow hood and second, they are either Mahindra or Maruti make. The state takes tourism very seriously, and the related processes are aligned accordingly. Each public transport vehicle has a new generation number plate which was introduced by the government in 2012. Great to hear that Shilpi! Do let us know about your experience in Sikkim! we are a couple…visiting Gangtok and darjeeling for 5nights and 6 days…. could u plz suggest..What to visit….In our package it havent include Lachung…. So we did not visit Darjeling but if you are going there for the tea gardens, you do get a glimpse of the same at Pelling. The route from Darjeeling to Peling is quite scenic. If you decide to do away with Darjeling , you could visit Lachung , Lachen and Gangtok. That way you will cover major attraction points of Sikkim. Otherwise you could also cover Darjeling , Gangtok and Peling, that will also be a good itinerary. Please do write to us if you need any other assistance. Even if there snow fall there, you will be able to rent appropriate woolens and shoes easily. Hey Prakhar, I am planning my honeymoon trip to sikkim in feb end. Can you give some suggestions about off season trip? What would be weather and how should we plan this trip? I have covered most suggestions in this post and another post ‘Complete Itinerary’. Request you to share a more specific doubt which I can help you with. Thanks for your reply. I want to ask that in February end All tourist destination will be open or not? As it is winter season so there’s possibility that some places could be close during this season. 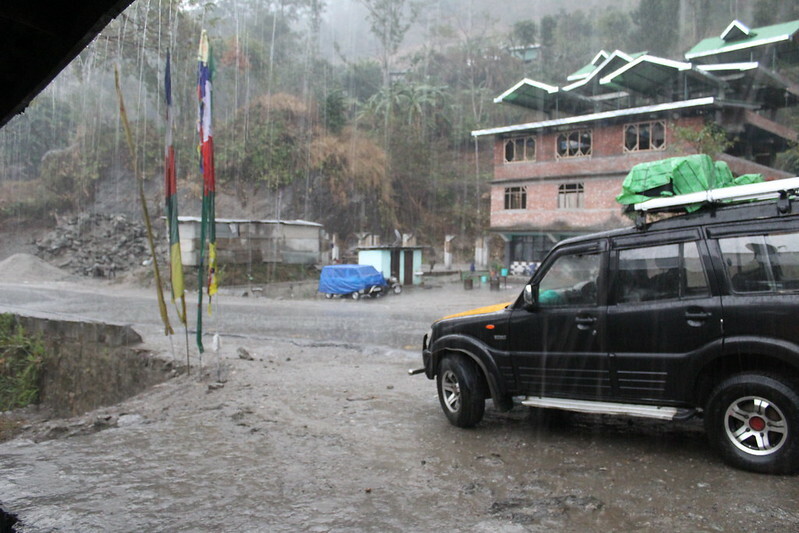 Chances for destinations staying open are highest for West and south Sikkim. In East Sikkim, tsamgo lake will be open for sure and the rest is subject to weather condition on that day. North Sikkim can be unpredictable hence the likelihood will depend immensely on the weather conditions during that time. n what about nathula pass in month of feb? Chances are less. But the availability of permit will be clear on the day that you want to go. I’m planning to travel to Sikkim in mid april, but I’m not Opting for any tour package i.e. doing the trip on my own. I wanted to ask whether it is necessary to do the hotel bookings in advance or we could get the hotel rooms on the spot as we reach our destinations. Please do let me know. Thanks in advance. We are a group of 6 people and we will be travelling to gangtok in mid october. I wanted to know exactly what should i pack because of the temperature? And please suggest us what to do there including places and food. We haven’t decided anything. Can rafting be done in this season? We will be there for only 3 days and be back on the 4th day. I WANT TO KNOW THAT HOW CAN WE GET PERMISSION TO TAKE OUR VECHILE TO PEILING LACHUNG AND LACHEN. RECENTLY I WENT TO GANGTOK BY MY WEST BENGAL REGISTERED VECHILE. I WAS THINKING TO VISIT PEILING LACHUNG AND LACHEN WITH MY OWN VECHILE BUT HOTEL MANAGMENT WHERE I STAYED AT GANGTOK TOLD ME THAT ONLY SIKKIM REGISTERED VECHILE CAN ENTER TO THESE PLACES. SO YOU CAN NOT GO BY YOUR VECHILE AS IT IS WEST BENGAL REGISTERED VECHILE. SO PLEASE GUIDE ME THAT HOW I CAN GET PERMISSION FOR VECHILE WHEN I VISIT NEXT TIME TO SIKKIM. can i expect snow in October starting? how is the temperature around last two weeks of november? also can you suggest some tour operator for the transport to lachen lachung and in and around site seeing in gangtok?? Haven’t been there at that time so won’t be able to share exact details but that is just the onset of winters there. Peak winter hits in mid january. Very useful yet precise itinerary..impressive. I am planning to visit sikkim in april 2016. any suggestions regarding weather etc. Nice post. Keep them coming. What kind of weather we can expect in last week of March ? The weather is likely to be clear enough for you to reach most of the spots. Ziro Point might still be a challenge though. Who all are you going with? Hello Prakhar, Thanks for reply. I am planning to visit Sikkim with wife and 3 year old child. How kid friendly is sikkim in terms of distances to be travelled and availability of homestays ? Hey Prakhar, greetings. Firstly, your itinerary seems to be the most crisp thing I found about Sikkim amidst a plethora of packages that hardly highlight what to do and how to schedule the trip. I am travelling this April, first week to be precise. Can I expect snow and how would the schedule pan out? Will most spots be open at their b’ful best? Will suggest you to spend most of your time in North Sikkim during this time to make the most of your trip. Most spots should remain open. Hey Prakhar, thanks a lot for the detailed info. I will be traveling to Sikkim from 29th Feb to 6th March. It is a week long thing with family and I would like to explore North Sikkim also. As it will be March first week, I guess we can get the permits in advance. As it is a self-planned trip and no agents are involved, where can I get the formalities done? Plus, I’d like to know about the taxi and hotel rates (on an average). So if you can help, it’d be great for me to plan. Great to hear that Anand. Read up my other post for Sikkim which details the full itinerary. That also suggests some hotels. The easiest way to do it by yourself is to request the hotel guy to arrange a cab for u. Permits are allotted same day in morning. My conversation with Saurabh above may answer some of your questions. Apart from that, you have already made a good choice of picking south and western Sikkim in ur itinerary. North is likely to be too cold to travel with your 3yr old daughter at this time. While at Gangtok, you may also consider taking a day out to go eastwards towards Nathula Pass and Tsongmo Lake. Hi,I hope your visit to Sikkim was good. I am a Doctoral Research Scholar working on tourists’ experience in Sikkim. I need to gather some information based on your experience. Please email me in my id. visiting gangtok from 6th to 12th march. Will it be a good option to go to lachen lachung for scenic beauty ? i heard rhododendrons bloom in late march. I plan to travel end of April with a 9 month old. I believe i wont be able to make it to zero point and nathula pass as it wont be good for the baby. OCuld you suggest places to visit in south and west sikkim. Thanks for the information quite helpful. I am travelling with a 9 month old in April End. We wont be able to make it to nathula pass and zeropoint due to the baby. an you suggest some places around south,west sikkim. You may explore options of Peling , Namchi etc. There’s a particular note we have specially when travelling with kids. Check the above comments. Thanks for sharing the information..impressive. I am planning to visit sikkim in August 2016. any suggestions regarding weather. I’m unsure of August being a good time to visit. You might want to check regd the implications of monsoons in the area. Plzz guide what to expect of weather?? Do we need woolens this time?? It’s a great time to visit Sikkim. Since you plan to skip North and East Sikkim, light woolens will be enough to accommodate any sudden changes. We plan to visit one monastery in Gangtok…Rumtek or Ranka. Which one do you suggest?? Is it a good idea to visit orchid flower show this season?? Rumtek is the largest monastery in Sikkim, has a beautiful geographical setting, but is about 25 km from Gangtok. It is the preferred Monastery to visit for most people. It is a good time to visit the Orchid Flower Festival since the Festival runs from March to May. Would u have anything to add for tourists with one year old kid? Travel tips, permits, exclusions, precautions etc.? I m planning for mid June 16. I have to say that your post is the best treasure chest one can find on Sikkim travels here on the internet. Its crisp, to the point and substantial enough. I am a 21 year old and I am planning a 9 day solo trip to Sikkim. 19th June being my first day in Sikkim. As a solo traveller, are there any special tips/pointers that I should know about? Also I am NOT opting for tour packages and other things. Thanks in advance, and keep these posts coming. Hey! So I am visiting Sikkim june end this year… Confused about the sort of clothes to carry … do i need light sweaters or heavy coats … ? 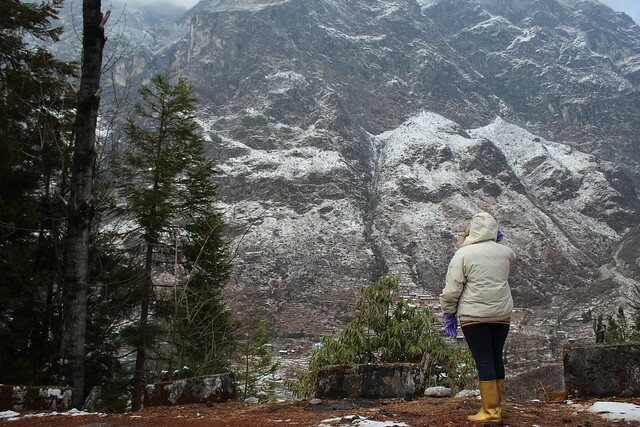 where can I get to experience snow in sikkim? your blog is really very helpful & informative. I have finalized the programme to visit Dareeling & Sikkim from 1st Sep. to 8th Sep. 2016. We will spend 2 nights each at Darjeeling,Kelimpong,Peiling & Gangtok. Please suggest suitable cloths & any other information required. My husband and i are planning to go to Sikkim this October. I have gone through all blogs, travel guides, trip advisor etc. But i have so many more questions which are unanswered. I was wondering and really hoping if you could help us out a little. I am sorry in advance for the number of questions. Would october be a good season to go? We were planning end of october, would it be crowded around this time? I was told that this is peak season too. We hate traveling through a travel agency and prefer to organize everything ourselves. Would it be recommended to fix transport prior to the trip or go there and figure? What would be better and cheaper? We have never trekked before but wanted to try one out in sikkim, any recommendations? Would north sikkim be ok to visit in october? Also the travel agent told us to take a xylo/innova sort of a car, but the local taxis offer indicas and marutis too, which are cheaper. How bad are the roads? I am really hoping you can help us with these queries. would be of immense help. we are planning to sikim in October. what will be the weather out there? Thanks for dropping in on Travellers’appetite. October will be slightly chilly in Sikkim, but there should be no snow so most of the attractions should be open for visit. However, since it’s not the spring season you will not be able to enjoy the view of valley of flowers. Hope you have a great trip ! Hi, We are looking at spending 7 days in Sikkim from December 19th to 26th. Family comprises of 5 adults and a child (5 adults – 2 old people aged 80, 70 years respectively, me, my wife, daughter and son 14 years and 10 years respectively). Would December be too cold or can we manage with a good set of woolens? Our plan is to check out Gangtok and the Pelling area. What could be a good itinerary to follow? How many days would you suggest that we spend each in these two locations? Should we first go to Gangtok and then Pelling (from Bagdogra) or the other way around? So December will be cold, like any other hill station. But Gangtok and Pelling side will be manageable. Might be a little too cold for your parents though, especially at Harbhajan mandir and tsangpo lake. Carry good woolens, sweaters, jackets, caps , woollen socks and gloves. From Bagdogra , take a cab to Gangtok. Day 1 : Reach Gangtok, could check the market that day. Day 2 : Go to the Tsangpo lake and Harbhajan Mandir if the way is open. Day 3 : Leave for pelling, see the tea gardens and Namchi on the way. Ofcourse there are other places in Sikkim but December might get a little uncomfortable in North Sikkim because of the cold. I hope this proves of help to you. Hi, this is a great list! I am planning a Sikkim trip in the end of Nov this year. I had so many questions, but your articles have made things quite clear, especially about permits and transport. Great tips too! Thanks. Glad the article was of help. We three women are traveling to Bagdogra on 27th Nov. From there we want to go to Kalimpong the same day stay for a night and travel to Zuluk the next day. Stay overnight in zuluk and on 29th reach Gangtok stay the next day and return on 1st to Bagdogra. Is it advisable to take a cab from day one and continue till 1st Dec. Is it going to be a very good cold at that time of the zuluk year? So we have not covered west Bengal, only Sikkim, Arunachal , Assam and Meghalaya. Still, if you’d like some information for booing hotels or cabs we could get you in touch with some local people there. We are family of 5 and a kid travelling to gangtok end of this month (October). Do we need to carry lots of woolens and thermals or just a sweater would do? Only a sweater would do if you are going only to gangtok and Pelling but if you are headed North do carry thermals , caps , socks, gloves as well. Hey prakhar 🙂 we are a group of nine adults travelling to baiguney in the second week of March. Please advise about the choice of clothes and places to visit especially during that time of the year, if any. Thank you! In our trip we did not cover Baiguney. Though if you’d like us to get you in touch with some local agents there who could help you with more information and booking, we’d be glad to do so. We did not cover this destination, Only Sikkim as covered in the post. Please do share your experiences once you are back from the trip. Hi we are travelling to Gangtok-Darjeeling from 19th-24 Nov. Including Nathula Pass. We have a 2 year old kid with us. what kind of woolen should we carry (Light/Heavy)? You will need heavy woollens at this time of the year. Carry a lot of socks , gloves and woollen cap as well. Heavy woollens definitely for the kid. Will need the same at the Lake and Nathula pass. Hope you have a great and safe trip. Lachung & Lachen Might be a little too cold for the kid. Will be better if you cover only Gangtok and Peling side of Sikkim instead of heading to the North region. Hope you have a great and safe trip. Do share your experiences once you are back. Hey, i am planning to travel alone. Is it safe for solo women travelers? Also will i get snow in Feb nd week? This sure is a very helpful post – well organised and easy to read. Love it. I am planning a trip in Jan 2017, and I cant wait for it start. Will be sure to follow your tips. We are planning to go to Gangtok and North Sikkim in April. do we need heavy winter cloth for Gangtok or the light jackets will do? Is it ok for a 2 and half year old child to go to zero point or nathula pass at that time? April is a good time to go for you all. Majority will not require any woollens or at max a light protection. 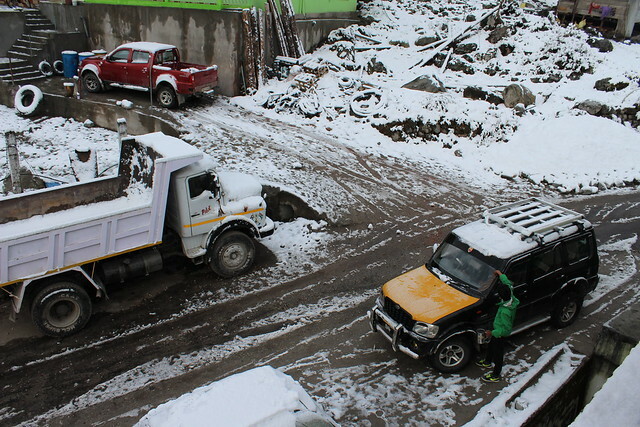 Only for North Sikkim you’ll require heavy winter clothing. Yes. It’s a good time. Though it’s very short a time to explore Sikkim. How easy to book taxi over there, we can book in advance. we need reserved cab for 7 days. do you have any contact number? It’s as easy as requesting the same via your hotel manager. Rates are fairly standard. Will advise you to talk to your hotel manager / travel Agent in advance. Hi, we r planning to visit in may month, is this good time to visit? We r planning to visit all nice places of sikkim. So please guide me ,from where to start and how we can plan for whole vacation for 5-6 days? Hi, we are new couple and we r planning for honeymoon to visit in may 1 st week, is this good time to visit? We r planning to visit all nice places of sikkim. We are planning a honeymoon to Sikkim in the first week of June. This is our tentative itinerary based on past experience/suggestions of one of my friend. Day 1: Reach Bagdogra airport and leave for Gangtok( at around 3 in the afternoon) to reach hotel/resort by evening. Day 3: Leave for Lachen, sight seeing on the way and reach by night. Day 7: Leave for Bagdogra and return to Pune. Also, please let me know if you can add any specific mode of transport you can suggest for sightseeing and moving across cities. Hello, though march is among the best season to visit, the forecast for next 10 days says showers in Sikkim, Darjeeling…Is the place enjoyable during mild showers? Is it worth going when the forecasts predicts rain?? If it isn’t, I’m sure you’ll find a way to enjoy your time there. You won’t get everything that you may have imagined and you may have to skip couple of spots in cases of heavy showers but Sikkim will still find a way to charm you being the awesome place it is. Go travel without any hitch. I am planning to visit to North sikkim in 14th april 2017with my 2years old . any suggestions regarding weather etc. am planning to visit to North sikkim in 14th april 2017with my 2years old baby . any suggestions regarding weather etc. We, 2 women, are planning to make a trip to Sikkim dated 8th to 15th April. Do you advice a travel agent or can we manage the permits on our own? Also, which parts of Sikkim would you suggest we visit this time of the year? Hi!! We 3 girls are planning to travel in October end. Is it a good time to travel? I will b visiting Gangtok, Darjeeling Lanchung nd Peeling will I get snowfall in d month of may. Me and my family are planning for june 1st week. Could you please let me know about the weather at that time. could we get snow…any luck at this time? Which parts of Sikkim would you suggest we visit. I am little bit tensed as my 2 yrs old daughter also travelling with us. Is it safe? I am have already planned my visit to Sikkim in the first week of October. We are about 7 adults and 1 child. Looking at the Sikkim conditions, would it be safe to visit the place? Or should we cancel our trip? Can anyone answer these questions. I’m planning to go Lachen, Sikkim and other places too. Would it be good to go to trek at the end of Sept? I heard its rainy season and I’m wondering how will be my experience at this time of year? Should I postpone it to Dec? Also I like to plan my own trips. Is it easy to find hotels or I’ve to pre-book? I am planing to visit sikkim, lachung,gangtok and darjeeling on 9th november with 3 year old daughter and wife so is it advisable to travel all places with kid?? Hi I am planning to go to Gangtok from Kolkata around 23rd-24th December,2017 with husband,my mother and our 5 years old daughter .Its basically for our kid she wants to see the snow filled mountains…kindly suggest nearby places we can cover without being too hectic schedules in 4-5 days. Can we get or smoke cigarettes in Sikkim? Can i smoke in my hotel in Gangtok? is it allowed to smoke over there? I will be visiting Gangtok and Darjeeling by 31 October to 5th November also planning to visit Nathula pass. How will be weather and other things during this period? I am going to Sikkim on my Honeymoon from 20-28 December. So Which places we can’t cover during that time. And How will be the temperature? I am planning to visit Sikkim by Nov end and early Dec. I have already booked the flights for Pakyong airport. I have 6N/7D plan. The places I have chosen is Gangtok, Lachen and Lachung. Since I have 6N/7D time, Is it worth to include another destination like Pelling or Darjeeling? I am confused here. Please suggest. Since, the terrain is rough the travel itself will consume two days for additional destination. I am planning to visit sikkim in 2nd week of January. I have already booked train tickets from Kolkata to NJP. The places I have choosen is Gangtok and Pelling. Can we visit Tsomgo lake, Baba Mandir and Nathula pass during that time ? If we are unable to visit there, so what can be the alternative locations we should choose ? I have just come across this page and honestly the information is so over whelming and i am even more excited and looking forward to the trip. Me and my friend are travelling to sikkim from 23rd to 30jan. We havent planned an itinerary yet so m seeking some help from you. Also we plan to mainly live in homestays , focus is to visit places covered with snow like tsomgo lake, zero point, chopta valley etc. We can skip pelling. We are starting our trip from gangtok. So please suggest an itinerary and also how do we go about tth permits since we havent booked any tpurtour operator. 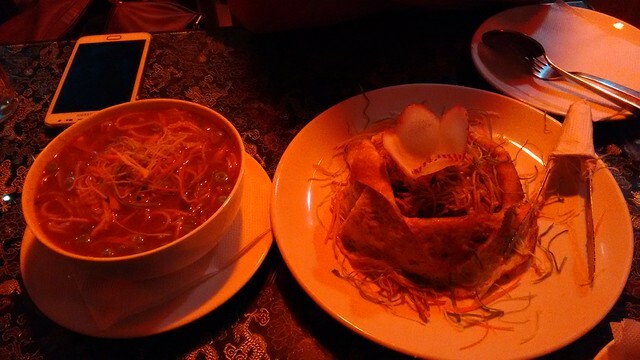 Previous Previous post: What next at Travellers’ Appetite?